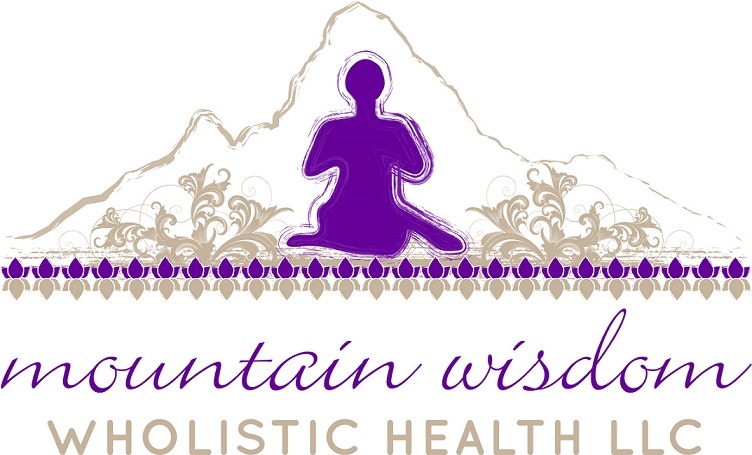 At Mountain Wisdom Wholistic Health LLC we embrace a variety of techniques designed to transform stress into joy and support our clients in bringing their best self into everything they do. From breathing education, to reiki energy healing, from creative movement practices, to meditation, wellness educator Sharon Harvey Alexander has the tools to support you in elevating your personal well-being so that you can thrive - at home, at work, in your relationships, and during the time you spend with yourself. When you take care of yourself, the world around you becomes a better place, too. By learning to breathe better, you may sleep and digest all of life better. By learning to move, and think, and relax in ways that are compatible with your unique wellness personality, you may discover or reclaim an unbounded level of energy that can carry you through each and every day with greater ease and more grace. What are you waiting for? Schedule an appointment today, and come in out of life's stormy weather. You will find a safe place here to explore tools that facilitate healing and joy in body, mind, heart, and soul. Please indicate your preference at time of booking. Seasonal Special - Pulse Reading, Breathing Assessment, Short Reiki Energy Clearing, and Personal Wellness Protocol developed for you. Join us every week - once or twice - for a gentle therapeutic yoga class where you may bring issues you're carrying in body, mind, or spirit and share them with the group. Leave feeling refreshed and renewed. *** Please note: classes are occasionally canceled - for holidays, unexpected events, and low enrollment. Best to RSVP at least 24 hours ahead to ensure a specific class is meeting (by emailing Sharon at mountainsmiles@msn.com). Thank you. Arrive feeling tight, tired, or concerned about an issue in body, mind, or spirit. Leave feeling refreshed and relieved. Join us once or twice a week (Mondays and Thursdays). Come in for a rejuvenative reiki session. Rest quietly, connecting with your breath, and turning inward as I clear and polish the windows of the energetic centers in your body and bring nourishing energy to all your parts. Leave feeling refreshed and invigorated. Feel free to reach out and explore if working together is right for you. Please schedule a complimentary phone consultation to ask questions or better understand the nature of this work. Over the course of three to five visits, Sharon expertly crafts a personal wellness prescription just for you. Depending on your unique needs, abilities, requests and desires, the prescription may include breathwork, a creative movement routine, mindfulness practices, lifestyle hacks, and/or meditation. It will be designed to gently yet effectively address concerns you may have about any subtle changes in your body, mind, heart, or soul, offering a steady base from which to expand toward peace & joy. Have an acute issue you're having trouble resolving? Schedule one-on-one time to explore it in a safe and confidential environment.